By the time you read this announcement, I would have wrapped up my vacation in July. Because I write my entries ahead of time, you wouldn’t have noticed a thing … until now. I took a week off to visit family in Hawaii, and another week to recover from that visit. Now I’m facing a large project at work starting to ramp up. So I’m taking a break from updating this site, which means August will be a barren month. Entries should resume in September. UA released a new album earlier this year. Cocco will release her next album in a few weeks. Utada Hikaru is on the release schedule for September. Would it be too much to ask for Shiina Ringo to drop some news about new album as well? Covers have always been a special treat from the Bad Plus, and this album marks the second time the trio dedicates an entire album to other people’s music. Or third if you consider The Rite of Spring a “cover”. First, Jack Ingram was a part of a new generation of country rebels that included the brothers Charlie and Bruce Robison. Then at some point, he traded in the rebellion for a spot at the top of the country charts. Now he’s back to his indie roots. I’m still looking forward to a new album, despite not warming up to the last two albums. Pansy Division isn’t the first punk band with gay members, but they managed to go further than most, opening for Green Day and Rancid during the ’90s. New albums from the band are few and far between these days. When Utada Hikaru announced she was taking a break from pop music, I figured she was making good on her promise to retire early. So her return is a welcome surprise. A 2013 European reissue of Ray of Light might still be floating around online merchants for a not-so-exorbitant price, so the real treat is the reissue of Bedtime Stories. I’ve talked a lot about my brother’s influence on my music collecting. I haven’t written much about my sisters for a good reason — they never took up collecting music. I have two sisters, and they each had started buying up a few albums when we were all kids. The sibling rivalry competition had started out as a four-way race, but by the end of the ’70s, both sisters dropped out. One sister, however, has had an indirect influence on my collecting. She would be the first to cotton to something cool — Duran Duran, Janet Jackson, Lisa Lisa and Cult Jam — but she would leave it to my brother or me to bring it into the home. If she felt strongly enough to buy a physical copy of an album, she would play it for a while, and when she got tired of it, the album ended up in someone else’s collection. It was usually mine because she and my brother didn’t get along. That’s how I came to inherit Always by Pebbles. It’s the type of album I wouldn’t be caught dead listening to in high school, which put me in an odd spot since it was released during high school. Since my sister only ever owned a single album or CD at any point in time, it would be housed among my albums since I had the devoted space for it. In short, both of us forgot it was there on my shelf. I’ve had numerous opportunities to purge the album from my collection, the first of which was when I moved from Honolulu to Austin in 1997. But it survived each review, even when cash flow got tight. After a few years, I had to admit — I actually liked it. L.A. Reid and Babyface gave the album a busy, aggressive sound. The singles from the album merited their chart-topping status, and the non-single tracks don’t wear with repeat listenings. 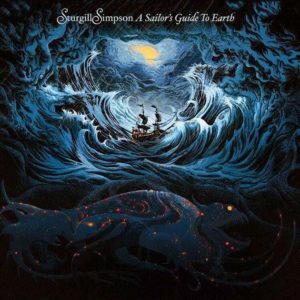 It’s a strong album, perhaps a classic among listeners familiar with it. These days, I study the album for the sound of its synthesizers. The cold analog sound sounds dated, which makes it a perfect document of its time. In fact, that’s probably why the album survived in my collection for so long — it’s so emblematic of a period and a style that it ought to be preserved. Also, I was subjected to a lot of bad popular music during high school. The fact I’m still listening to this album after 25 years attests to its endurance. There’s a reason I can pretty much recite the film Amadeus all the up till the maid hired by Antonio Salieri to spy on Mozart begs the maestro to quit her job. My parents never wanted to pay for cable, let alone a subscription to a video rental store. Nor did they like going to movie theaters. 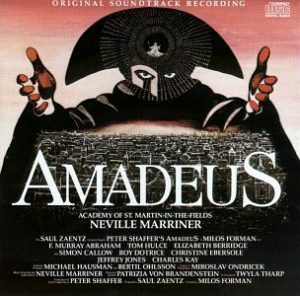 So it was many years before anyone in my family watched Amadeus, when it finally aired on broadcast television. Being such a thrifty family, we taped it off the TV, pausing the recording to cut out commercials. Let me mention now that my parents decided to hitch our home video options to BetaMax instead of VHS. I was trying to get them to buy a LaserDisc player. The BetaMax started going haywire after a few months, but instead of replacing it, we developed coping mechanisms. That meant rescuing tape caught in the rollers whenever we ejected a cassette, and it meant dealing with a distorted picture when we would play those same damaged tapes. Our first few viewings of Amadeus went all the way to the end. Subsequent viewings would not be so kind. The picture and sound cut out just as the maid, played by the timeless Cynthia Nixon, sought to end her employment. We tried rewinding, then fast-forwarding. Nothing. On another attempt, my brother discovered it would play to the end so long as we didn’t advance or rewind the tape — we had to let it play from start to finish without interruption. That worked a few times, but then it stopped. It became a contest. Would the damaged tape once more deny us the conclusion of the movie? Or would it be cooperative and play to the end? Most times, it was a game we lost. It was also a game we played multiple times. When it became apparent BetaMax was obsolete, my brother bought a VHS player, and I bought a copy of Amadeus on VHS. By that time, I had lost the contest so often, I was reciting the lines before the actors. I borrowed the soundtrack from the library and played it so often, I eventually bought my own copy. Now, the only ensemble I want to hear perform Mozart is the Academy of St. Martins-in-the-Field. Peter Shaffer’s story fascinated me, of course, despite its tenuous connection to history. Salieri’s rants against God mirrored my own questioning of religion, and the scene where Mozart and Salieri work on the Confutatis in Requiem served as a crash course on arranging. Some musicians don’t see Amadeus in a very good light, but without it, I probably wouldn’t have dove into classical music as deeply as I have. And so it sits on top of my list of favorite movies. The Favorite Edition 2016 list will be published next week, and if it’s any indication, the release schedule for the rest of the year will probably not be terribly impressive. Blake dropped this album many weeks back, and I’ve listened to it enough times to make me question whether I would really want to own a physical copy of it. Does it really need to have 17 tracks and be more than an hour long? A lot of interesting things happening on the album, and as many things that induce sleep. I wonder what prompted YEN TOWN BAND to reunite after 19 years. The band is actually fictional — CHARA played the role of Glico in the film Swallowtail, in which she led a group called YEN TOWN BAND. MONTAGE is probably one of my favorite CHARA-related albums. I’m hoping a reissue of Introduce Yourself becomes an eventual reality. 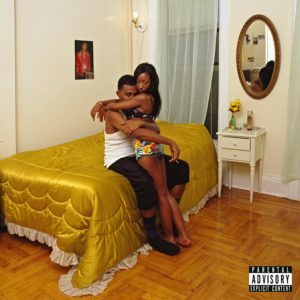 I think Dev Hynes is responsible for softening my decades-long dim view of Michael Jackson. Cocco has added stage and screen to her résumé as author and singer. So it’s no surprise the gaps between albums have gotten longer in the last few years. That makes Adan Ballet remarkable for coming out a year and 2 months since Plan C.
I haven’t gotten through that backlog of De La Soul albums the trio offered for giving them my e-mail address. I can haz Aion and Spiritchaser reissued on vinyl? Second-hand copies of the self-titled album, Like a Virgin and True Blue can be found for reasonable prices. Like a Prayer, on the other hand, is a bit harder to find, which makes it probably the only recent reissue worth getting. Andy Partridge’s reissue label APE House is not messing around with these reissues, and the prices for them reflect that. The release date for this reissue is a moving target. I imagine it will show up the next time I write this round-up. I know I want to get the Love Symbol Album on vinyl. I’m partial to getting Lovesexy if I don’t find a used copy before then. I’m on the fence about Sign O the Times and Graffiti Bridge. And I’m disappointed The Black Album reissue was canceled. I won’t tell you how much I spent on an original pressing of this album. So if you want it on vinyl, place your pre-order now! I played Tracy Chapman’s self-titled debut a lot when it was released in 1988. I had a few weeks to get through John Steinbeck’s The Grapes of Wrath for a summer reading assignment in high school. Tracy Chapman served as a soundtrack to my reading. I wouldn’t have gotten through it otherwise. The album grew on me as a result, but I wasn’t quite convinced I wanted to be a Tracy Chapman fan in the long term. Crossroads arrived a year later, and all the reviews I read at the time gave it damning praise: more of the same as the previous album, perhaps a bit more dour. So I passed on it. The last few years of flipping through vinyl stacks would bring Crossroads to my attention time and again, and each encounter would get me more curious. First, I love the cover. It’s a striking photo of Chapman, more strident than the washed out sepia portrait of her debut. Also, the album’s modest success makes it a bargain on the second-hand market. My decisive encounter with Crossroads would be at Everyday Music. I finally brought it to the in-store player to give it a sample and discovered Emmylou Harris had covered “All That You Have Is Your Soul” on All That I Intended to Be. That was endorsement enough for me. The reviews were right — Crossroads picks up where Tracy Chapman left off, but the critics were wrong to imply that was a fault of the album. Chapman’s writing chops remained sharp, perhaps even getting a bit tender. 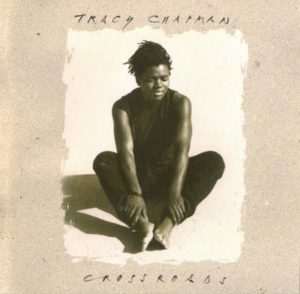 While Tracy Chapman is in a league of its own, Crossroads is just as enjoyable as her 1995 album New Beginnings. If anything, these three albums constitute her essential works. Until recently, One Beat was my least favorite Sleater-Kinney album. I got on board the Sleater-Kinney bandwagon in 2000 with All Hands on the Bad One. I hadn’t yet caught up with the band’s past work when One Beat followed two years later. I played One Beat multiple times, but I just couldn’t get into it — I was hoping it would be just as tuneful as its predecessor. My opinion on the album continued to dim when The Woods turned out to be even more ambitious than All Hands on the Bad One. I did eventually catch up with the band’s albums. Hot Rock and Dig Me Out made me appreciate Sleater-Kinney more, but neither album made me love them. After the band went on hiatus, I didn’t really think about them, save for watching Carrie Brownstein on Portlandia. That started to change around 2013, when I began expanding my vinyl collection. I put on All Hands on the Bad One on the media player to figure out if it would be something I’d like to hear on the record player. It was, and I realized how much I missed them. When Sub Pop announced it would reissue the band’s catalog in 2014, it seemed the right time for Sleater-Kinney to re-emerge. Boy, did they ever. No Cities to Love pushed me over the edge from dilettante to fan. So I filled in the remaining gaps. Call the Doctor and the self-titled debut put All Hands on the Band One into context. All Hands is still my favorite album of theirs, but the ones preceding and following it are far edgier. And that made me think it was time to revisit One Beat. Even though I had sold the CD, I downloaded the album from eMusic a long while back. I spun it up again, and it finally made sense. One Beat shared more in common with Call the Doctor and Dig Me Out than it did with The Woods or All Hands on the Bad One. What I mistook for tunelessness was really the band’s regular modus operandi of fierce performances and jagged writing. It’s probably the band hardest album next to The Woods. I dismissed One Beat wrongly because I had incomplete information. 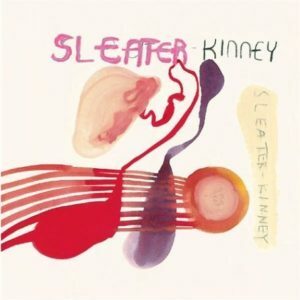 I would now place One Beat nearer the top of a ranked list of Sleater-Kinney albums. That’s a pretty large leap from rock bottom. But I had low expectations when it came to his music. Herndon released his debut album in 1995, around the time producer Mutt Lange brought his experience with Def Leppard to the albums of his ex-wife, Shania Twain. Country music’s biggest star at the time was Garth Brooks. 1995 was also the year Emmylou Harris introduced me to the genre with Wrecking Ball. I learned quickly that country music had an alternative streak populated by punk progeny on one end and traditionalists on the other. So I started with This Is Ty Herndon, his greatest hits compilation. I asked a friend more familiar with country than I was to confirm my suspicion — it wasn’t really that bad. She did confirm it, and she too isn’t into country radio either. Herndon has a smooth voice he puts to best effect when mining the broken heart vein of the country tradition. For the first few minutes, it’s tough resolving his real life (gay) with the themes of his songs (straight). But Herndon eventually sells the emotion behind “Heart Half Empty” and “What Mattered Most”. Maybe less so with raunchier songs like “You Can Keep Your Hat On”. I found myself listening to This Is Ty Herndon day after day, and eventually, I got curious about his career after the hits stopped coming. That’s when Herndon gets really interesting. Lies I Told Myself was released a year before Herndon came out, but the music on the album certainly felt like he was ready to unleash. A chugging pulse on electric guitar opens the album with a toughness nowhere to be found on his greatest hits compilation. 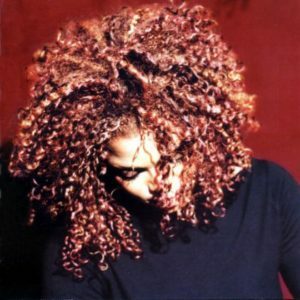 He still excels on the love songs, particularly “I Can’t”, but even the socially conscious closing track, “Love Wins”, doesn’t feel forced. In hindsight, Herndon was saying much more through his song titles. The Internet would like you to think President Obama was the first person to use the hashtag #LoveWins in 2015, so how did Herndon have the presence of mind to use that as a song title in 2013? Here’s a hint: the album was released in October, four months after the Defense of Marriage Act was struck down by the Supreme Court in June. The title track itself deals with overcoming adversity, but Herndon was hinting he told a lot of other lies before then. His 2007 album, Right About Now, is no slouch either. Free from the strictures of country radio, Herndon’s post-major label work shows some real maturity. That’s not to say his major label albums were bad. Steam and Living in a Moment are probably too tightly coupled with country radio fashion of the late-1990s, but What Mattered Most and Big Hopes have the strongest material. A big portion of This Is Ty Herndon was compiled from those two albums. On social media, Herndon comes across as humble, likable and a bit of a goofball, adding to the halo effect. Would I be as interested in a gay country singer if he looked more like Garth Brooks? He’d probably have to write songs as good as Jason Isbell or Sturgill Simpson. 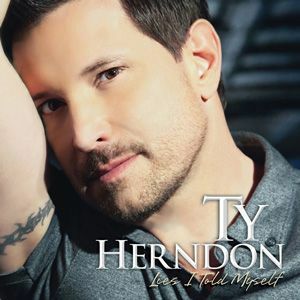 And if Ty Herndon weren’t gay, would I still listen to his music? I’ve been subjected to the kind of country radio that had me running and screaming back to my Lucinda Williams and Uncle Tupelo albums. I would easily choose Herndon’s “Hands of a Working Man” over Brad Paisley’s “Letter to Me”.